Not surprisingly, that mushy B pill premise is where Manic spends most of its experimental lab time. A mechanical glitch results in Annie and Owen experiencing their visions together instead of separately, and multiple episodes feature the pair going on a series of hallucinatory adventures together while trapped in a shared consciousness. Sure, it’s weird, but the results are crackling. Everything Fukunaga directs comes with dazzling visuals, to the point that critics who would discount the director’s work would accuse it of style over substance. I strongly disagree. I find Fukunaga’s work an incredible synthesis of both with the visual flair heightening the function of his storytelling. Maniac is no different. It’s certainly stylish, especially the scenes inside the testing rooms at NPB, but the show’s vibrant color palette and retro costuming highlight just how different and insular Neberdine Pharmaceutical and Biotech is from the world outside it. That isn’t to say that the show’s “real world” is what we would call normal. Maniac’s setting is a retro-styled near-future in which modern advertising and technology are heightened to annoying extremes. If you’re short on cash, you can pay for coffee and transportation with AdBuddy, a service where a real-life person comes and inundates you with ad reads until your debts are paid. Semi-sentient roombas roam the streets picking up dog poop, and neon advertisements are inescapable. The creations are not only a form of dark comedy, but create a world where it’s harder to shrug off GRTA’s existence as impossible. Maniac relies on you believing in its premise, but it does a lot of groundwork to make that belief easier. You have to set aside your doubts when Owen and Annie disappear into their minds and just go for the ride. And what a wonderful ride it is! Together Annie and Owen go across space and time, and into the realms of the unreal. They drop into the American 1980s, the British 1920s, the Icelandic future, and even high fantasy as their minds unravel to reveal truths about their real-world selves. Some critics have said that Maniac’s plot is too confusing and difficult to follow. I did not find that to be the case. Maniac simply asks that you pay attention in order to understand the show’s vast symbols and metaphors. When is a lemur actually a Chihuahua? When is Don Quixote a symbol of loss? If you’re used to playing on your phone during transitions or speeches, then you’ll likely find yourself lost. The show is a constant Easter Egg hunt, but ever a rewarding one. The show wants you to play along, and Fukunaga’s stylings make it a treat to do so. The various fantasy scenarios give Stone and Hill the chance to play their base characters across a wide spectrum, and it becomes quickly obvious that Stone is wildly outperforming her scene partner. 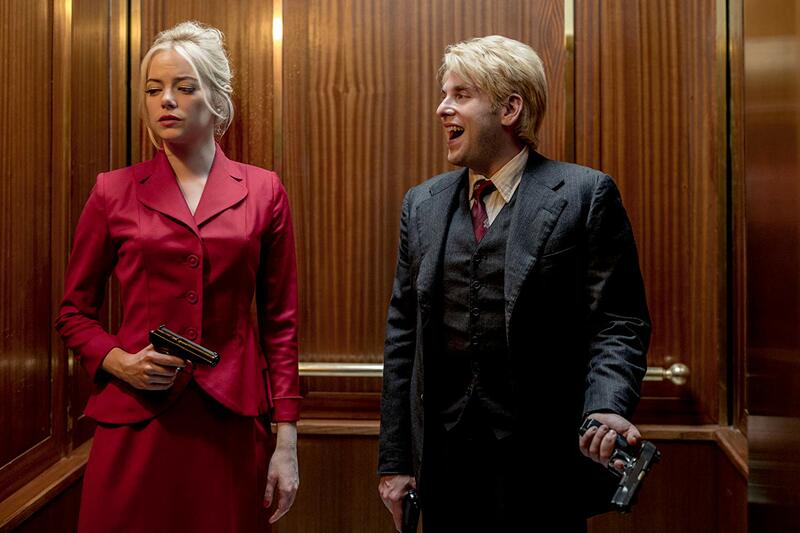 I’ve never particularly been a fan of Stone’s work, but the changes in character on Maniac reveal just how talented she is even to a doubter like myself. Hill, not surprisingly, is at his best when he gets to be comedic. Unfortunately, the majority of Owen’s real-world story requires him to be interior and introspective. That’s the exact opposite style of acting from the outsized freewheeling that once earned him an Oscar nomination for The Wolf of Wall Street, and it shows here. He doesn’t have the chops to pull it off, and his Owen is frequently a lost, slate-faced character. Thankfully, Stone and the stellar supporting cast are there to carry the load. Justin Theroux’s broad, goofball quirk really works for comedic relief, but it’s best as a feature, not something to base long stretches around. It’s hard to image anyone showing the Maniac scripts to Sally Field and Gabriel Byrne, but both are surprisingly down to play. Field is especially good voicing GRTA the computer, fictionally based on Theroux’s character’s mother, Greta. 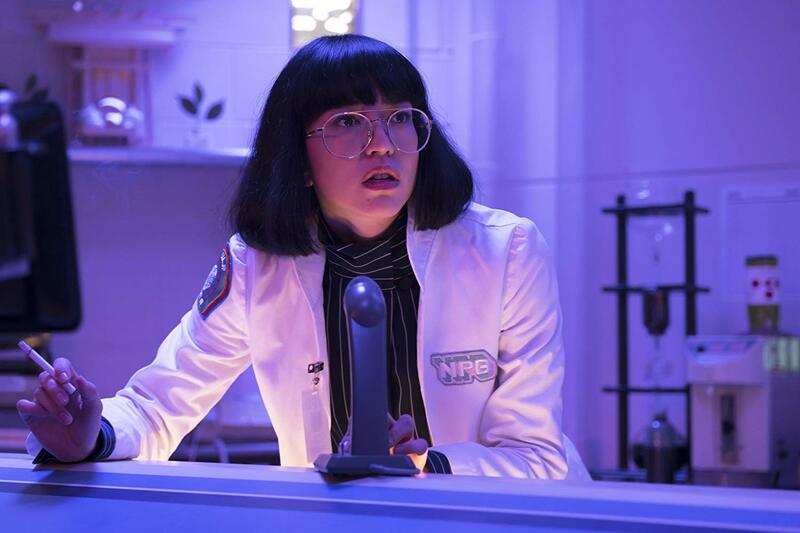 But if anyone deserves to break out from the show it’s Sonoya Mizuno, who steals scene after scene as the lab’s second-in-command, Dr. Fujita. I’d only seen her previously in Ex Machina as the other, non-Alicia Vikander android, a silent, thankless role. Here, however, she’s delightful as she modulates between the emotionless scientist running the experiment and the oddball trying to hold things together behind the scenes. Make no mistake, for a show based in science and medical procedures, Maniac has a ton of heart and comedy. For all of Dr. Fujita and Dr. Mantleray’s assertions that their process is about pharmaceuticals and not boring therapy, Owen and Annie’s journeys into the mind are exactly that. A treatment as powerful as any psychotherapy is happening in front of these doctors, but so buried inside the mind that their process looks like nothing but pharmacology to the uninitiated observer. Catharsis can be strong, but it comes at great emotional cost, and, with no way to escape from the traumas of your own mind, perhaps a burden that some minds cannot take. Those are the stakes Fukunaga and writer Patrick Somerville are juggling in Maniac, and it will be too high of a bar for some viewers. The show demands attention, and is probably one of the most “your mileage may vary” shows that Netflix has ever produced. For this viewer it worked. 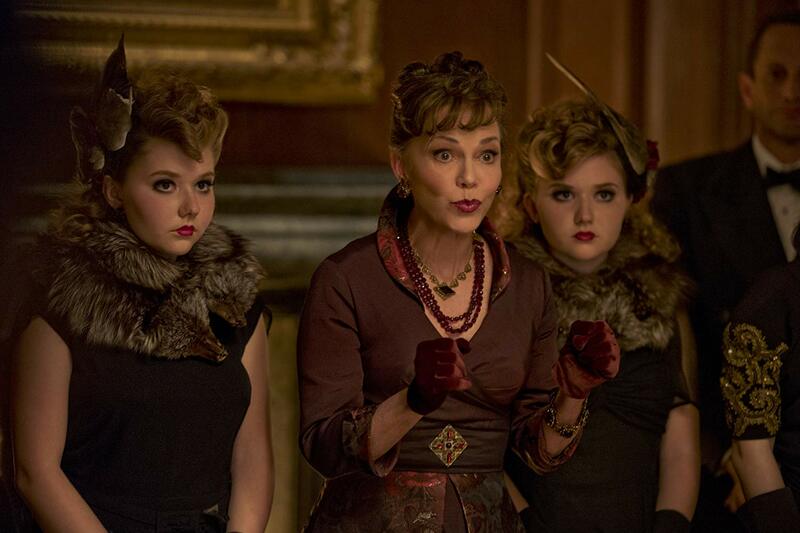 Yes, Maniac bends the mind, but only to reveal the heart.